Making yourself a nice breakfast for dinner is an easy, fast, comforting choice. There is something about breakfast that makes it seem snugly. I am not talking about the grab and dash breakfast bar but a nice English muffin, a couple of scrambled eggs, a bit of sausage, and a tomato. It is kind of like a British breakfast! 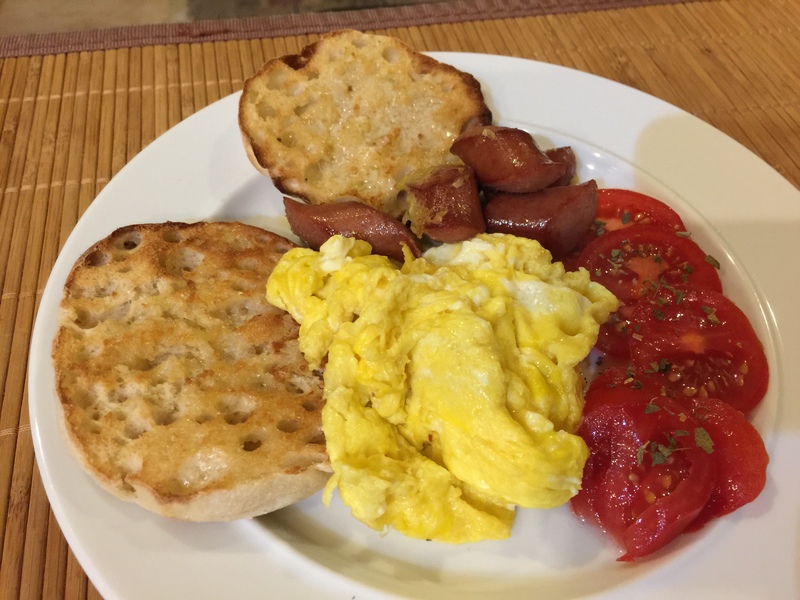 This entry was posted in Eggs, Vegetables and tagged Eggs, English muffin, Sausage. Bookmark the permalink.